Virginia Lee Burton was first and foremost an artist. 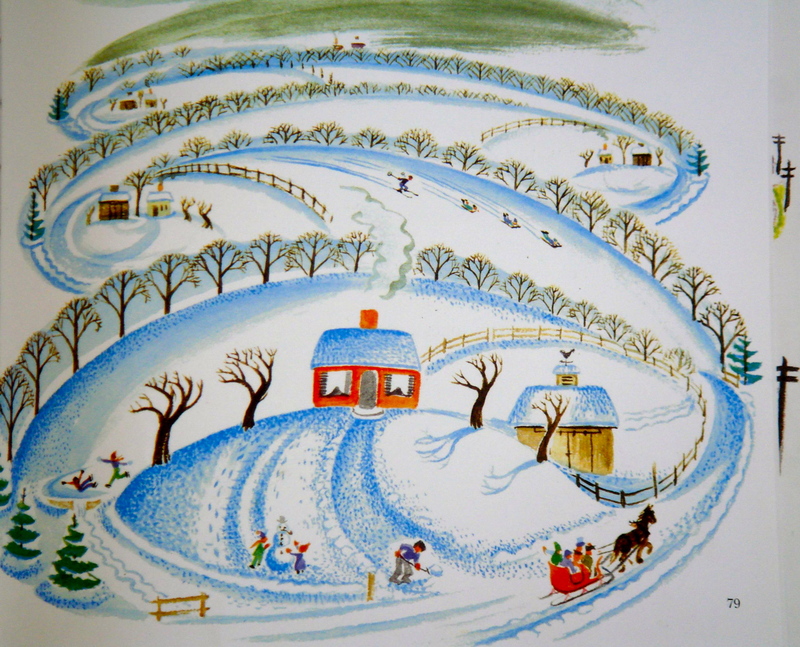 In creating her seven books for children, she first painted the illustrations (a painstaking process that sometimes took years) and then wrote the text. 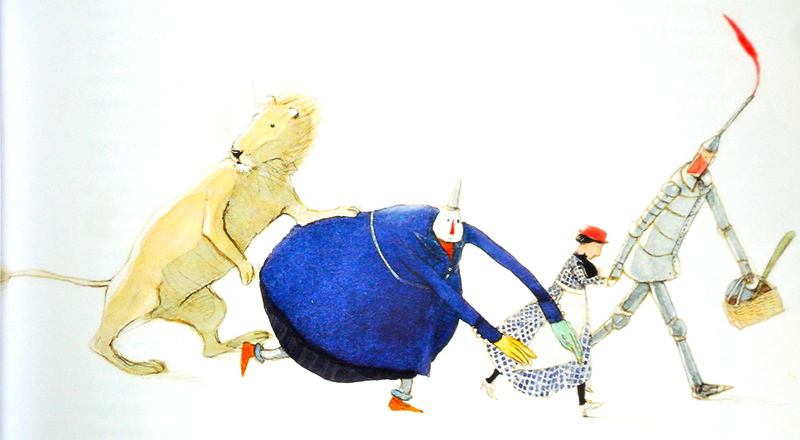 Her books have an unmistakable style that was uniquely hers, a style that was a radical departure from other picture books of her time. The story of The Little House was inspired by Burton’s own home. When she and her new husband settled in Folly Cove, Massachusetts, they relocated their turn-of-the-century wooden house from a position along Route 127 to a nearby hill covered with daisies and apple trees. 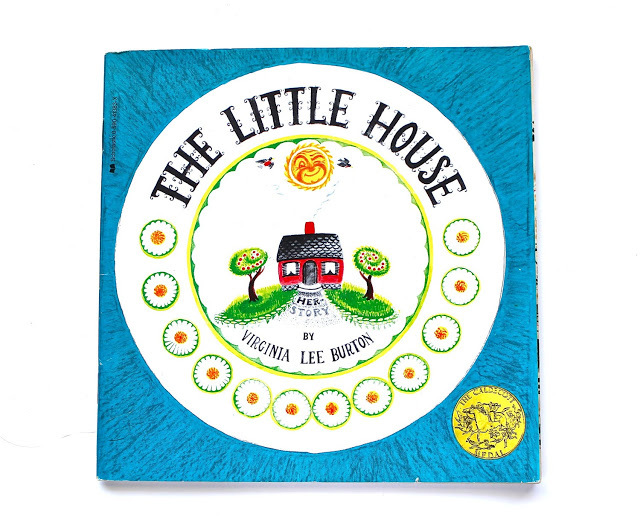 In the book, the Little House (one of a series of unassuming inanimate heroines that included a steam shovel, a snow plow, and a cable car) begins her life in an idyllic pastoral setting, surrounded by nature and home to a happy family. Time passes, the world changes, and the Little House is enveloped by a city. Boarded up, broken-windowed, and abandoned, the Little House is discovered by the great great granddaughter of the man who built her and is moved back to the country, once again on a hill with apple trees. Burton grappled with weighty issues – the importance of a life in harmony with nature, the dehumanizing force of modern urbanization, the relentless march of progress – and this book has a certain gravitas. She documents the passage of time in the natural world by showing the rising and setting of the sun, the phases of the moon, the seasons of the year. 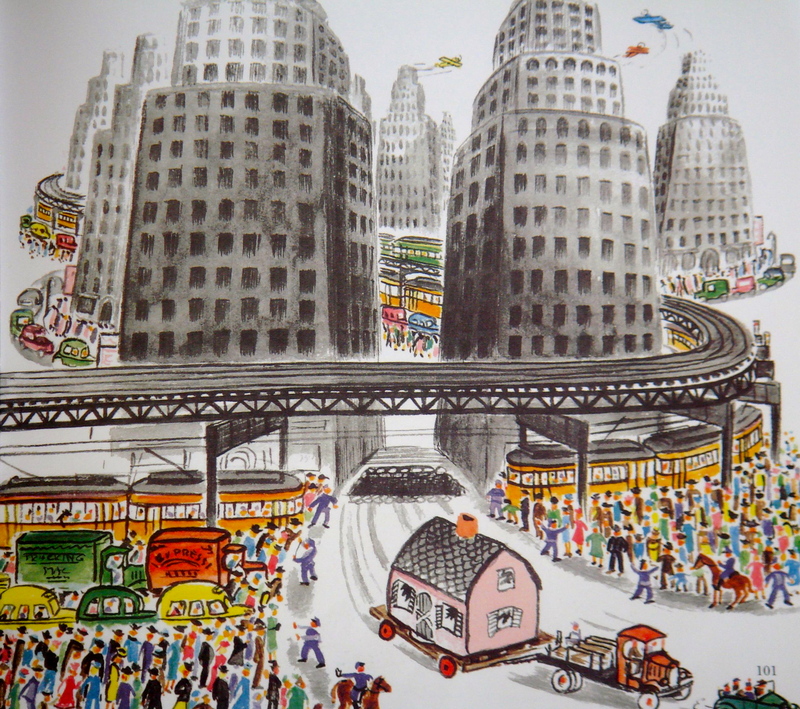 In the arena of technologic progress, she shows the transition from horse and buggy to automobile, from trolley car to subway, from tenement building to skyscraper. She captures the accompanying change in the human psyche that the movement from country to city effects. Simply by drawing her rushing city dwellers on a slant, she captures the chaotic speed that accompanies modern urban life. The end of the story reflects Burton’s warm and exuberant personality and her intrinsic optimism. The Little House quietly perseveres and ultimately triumphs. 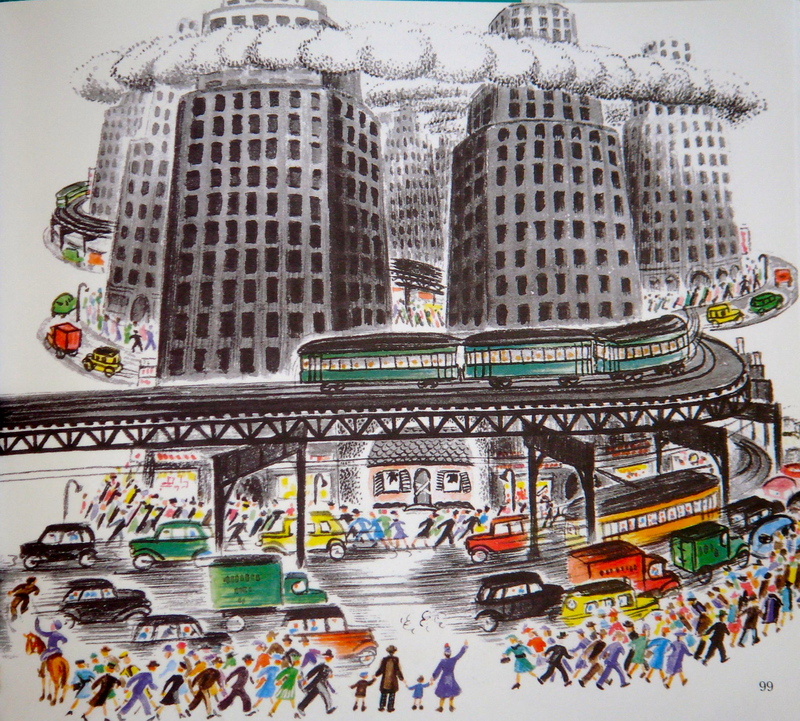 Although Burton received the 1943 Caldecott Medal for The Little House, her earlier Mike Mulligan and His Steam Shovel remains her most popular work. Katy and the Big Snow is a terrific book to read upon each winter’s first snow storm, and Maybelle the Cable Car is the perfect book to pack for a visit to San Francisco.